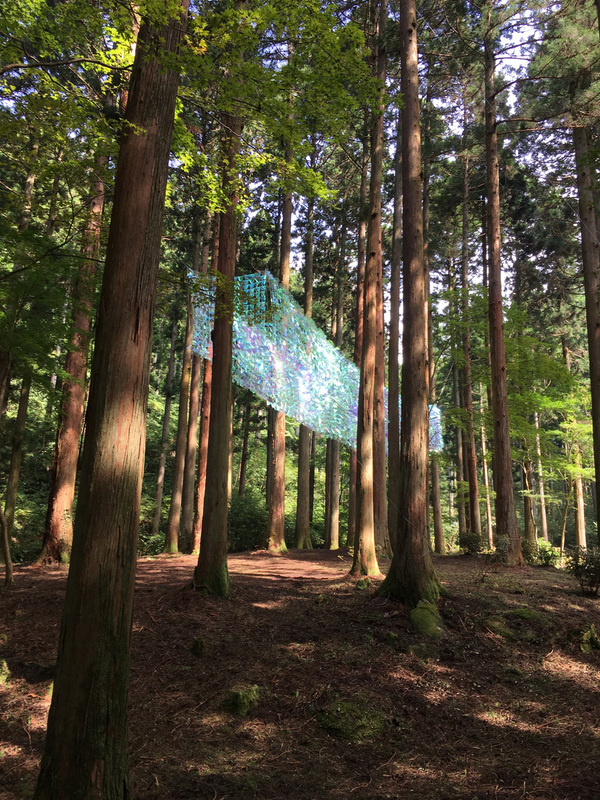 Studio Akane Moriyama was invited to make an installation for Hitachi, Ibaraki in Japan as a part of the art festival KENPOKU 2016. 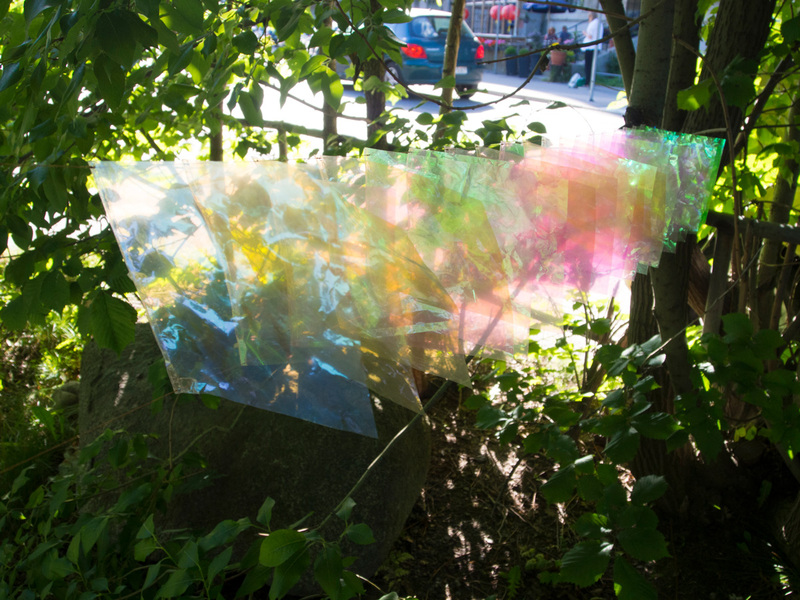 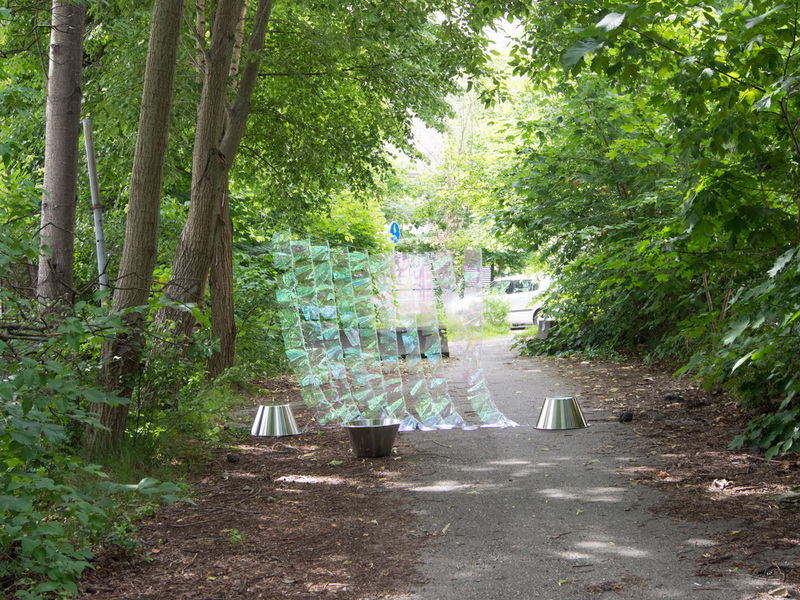 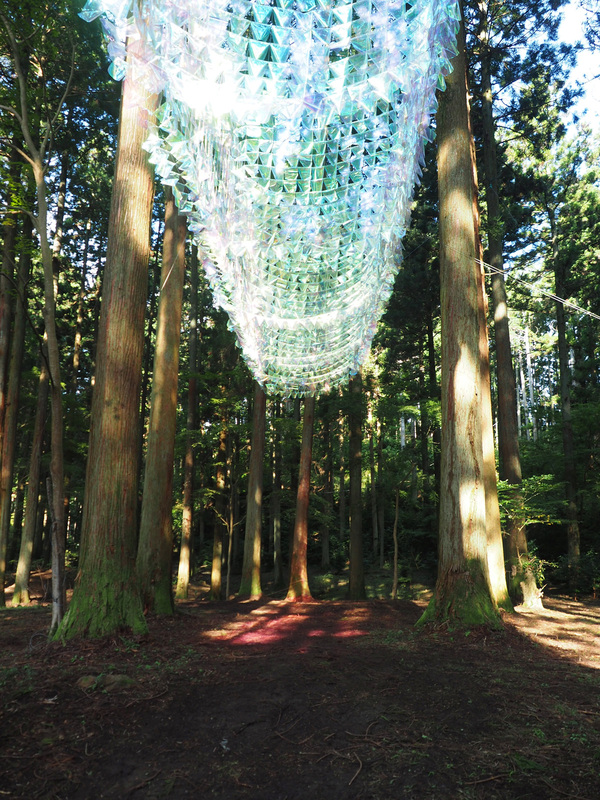 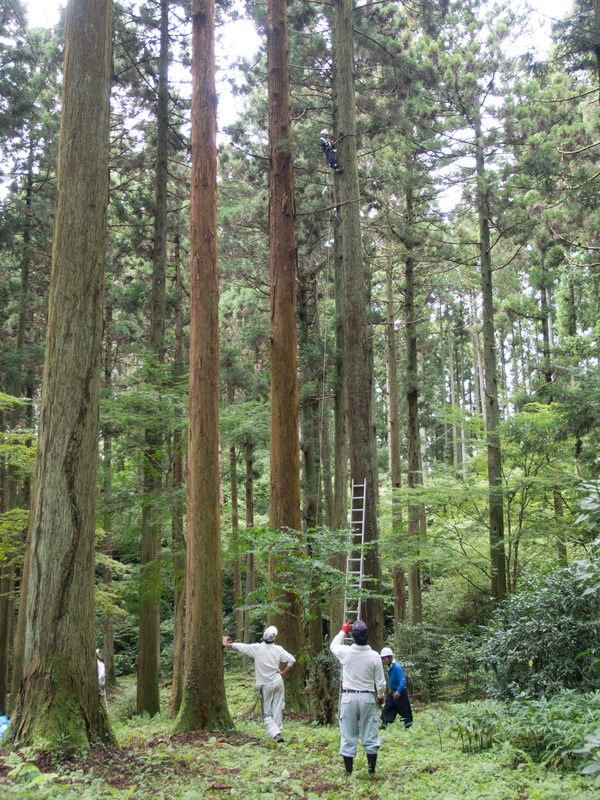 The work Mirage in the forest filled a space in the serene forest space by Oiwa Shrine, a historical place of worship. 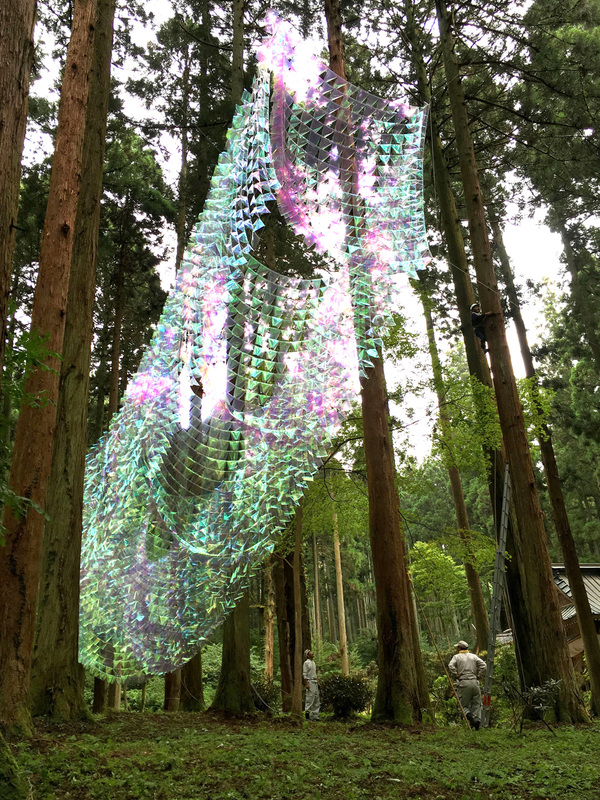 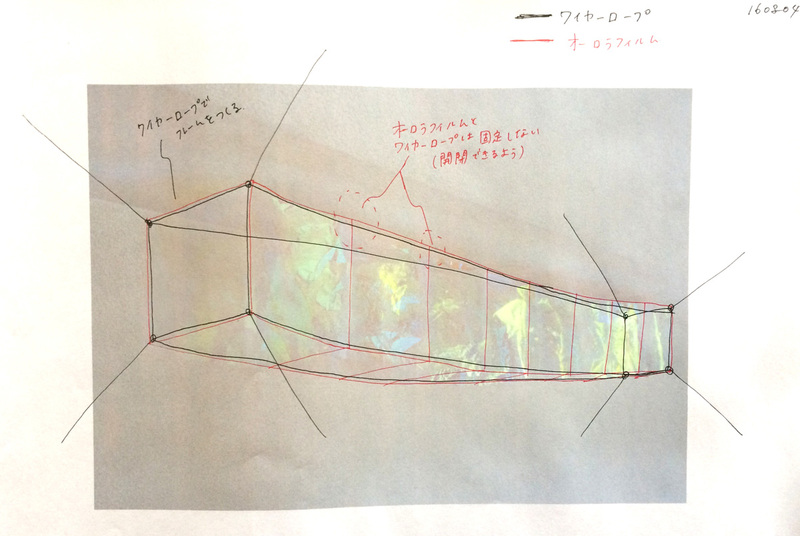 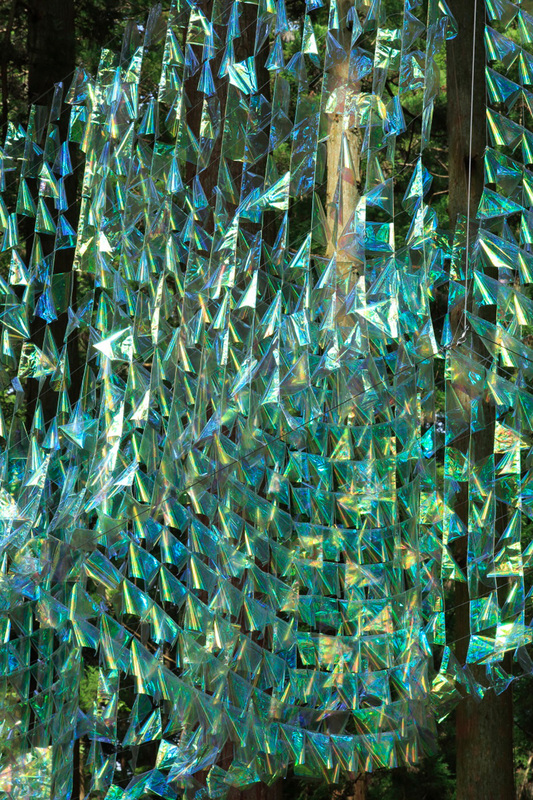 The work was created out of around 6000 pieces of super-thin film, which swayed in the wind blowing down from the summit of the Oiwa mountain. 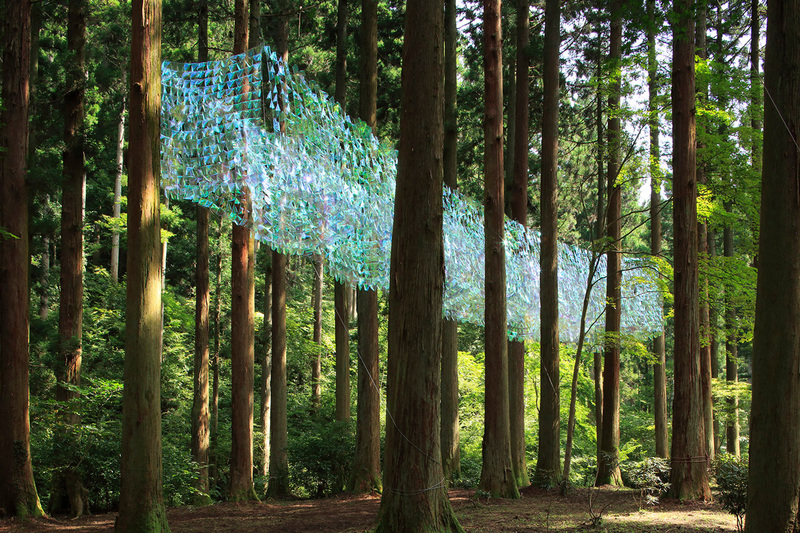 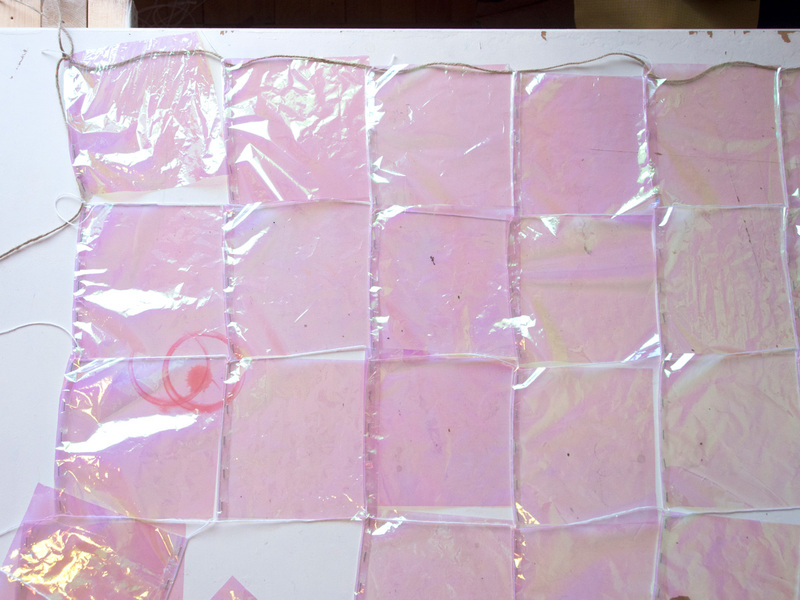 Their organic movement was reminiscent of a living being inhaling and exhaling. 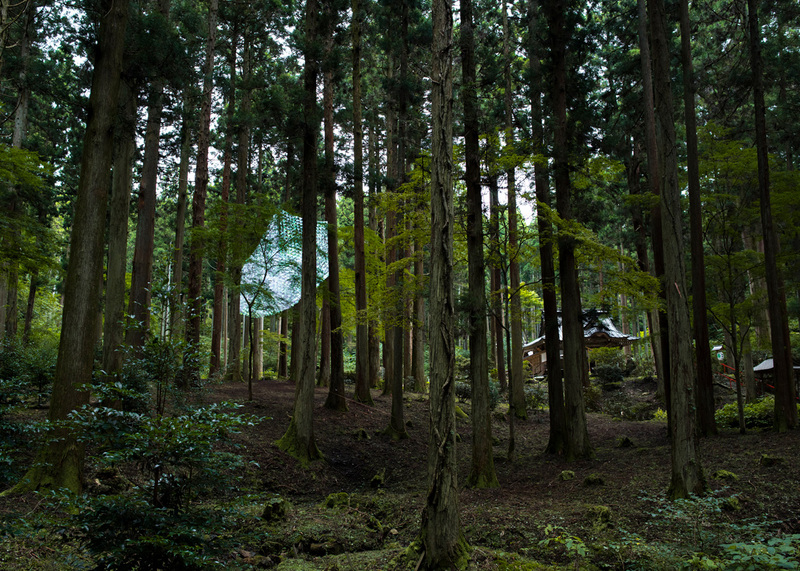 The work rippled with the unseen prayers of the air, people, plants and wildlife, captured the region and its spaces, and the time that flows there.